Every week, and sometimes every day, we hear of more companies laying off employees, forcing those people to look for new jobs. The fact is that looking for work at any time can be challenging; but during our current economic times, it can be downright daunting. I’ve seen it strike fear into the hearts of even the most accomplished individual. It can cause successful, confident, and capable professionals to question their sanity, marketability, and expertise. If you let it, it can immobilize you. 1) Take time to acknowledge what you’ve lost. Even if your job wasn’t all that terrific, it did provide a certain amount of security, income, and identity. Admit your feelings of loss and recognize the range of feelings you are bound to have over the next several weeks and months: anger, sadness, relief, fear, embarrassment, and lack of confidence. Take time to process your feelings and get whatever assistance you need to regain your emotional footing. A positive attitude is essential for a successful job search. 2) Clarify what you have to offer an employer. Identify what you are selling, and make no mistake about it, you are selling your services in exchange for something of equal value. A company isn’t going to hire and pay you for more than you are able to deliver. At the same time, you don’t want to be under paid for your contributions. Getting clear about your skills and expertise will make the next step – developing a value-packed resume and other marketing materials – easier. 3) Create impeccable marketing materials. I am amazed at what are passed off as acceptable resumes and cover letters. However, I do realize that the people sending them are not always to blame. They just haven’t been told the truth as to what compromises a great resume. Most resumes concentrate on “tasks & duties” – what they are expected to do on their job description – and fail to mention how they have made a difference, or in other words, the specific value they bring to the table. Some resumes include numerous typos, misspellings, and errors in grammar. Your marketing materials must be top quality – your professional credibility rests upon them. 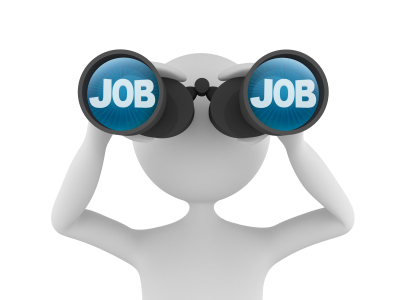 4) Develop and implement an active job search plan. You may be surprised to discover that only about 4% of jobs come from the Internet, so limit the time you spend looking online. What makes the prospect of spending hours online searching for job opportunities seductive is the feeling that you are doing something; when in fact you are like a caged squirrel running on the wheel to nowhere. It feels like you are accomplishing something, but in reality, you are simply killing time, time better spent on more active job search strategies. Of course, using passive job search methods results in a lot less out-and-out rejection and virtually no actual opportunities, but it feels like you are doing something. 6) Look for opportunities to create value. Savvy job hunters build credibility and trust by looking for ways to create value. Make every interaction a high quality one. Stop looking for a job and start looking for ways to contribute. Ask compelling questions, and probe for problems that need solving. Keep your attention on the other person’s agenda because finding the right job is really about solving someone’s pressing business problems. 7) Plan for and expect success. Leap into your job search as though it is your new job, because right now this is the most important work you can do! Create your plan for success, work it, evaluate it regularly, and recommit to your success. This entry was posted on January 30, 2013 at 2:15 am and is filed under Uncategorized. You can follow any responses to this entry through the RSS 2.0 feed. You can leave a response, or trackback from your own site.